Is Your Customer in the Driving Seat? At the recent 2015 Honda Indy Toronto, cheering fans once again had the opportunity to experience the thrill and adrenalin of car racing. Josef Newgarden led his teammate Luca Filippi across the finish line by 1.4485 seconds in the exciting 85-lap race on the 1.755-mile, 11-turn circuit. With all the jubilation and fanfare celebrating the victory, one cannot help but marvel at the excitement of car racing. Let’s compare Indy car racing laps to your buyers’ journey. They are on the race track, speeding along with a single-minded focus on the finish line. They don’t have time for distractions and useless banter. They can’t afford one wrong turn. The competition is hot on their tracks and the margin is closing in. Think about who is in the driving seat in your buyer’s journey. You may want to be the driver, but then it is highly unlikely that you will ever get to complete the race all the way through to the last lap. As B2B marketers, we really don’t have a choice any longer; the customer is driving with an incredible amount of access to information and a matching increase in the expected levels of service from vendors. It is easier than ever to shop around. New channels continue to emerge. You may think the answer is to offer more information, but I say “stop”. Stop adding to the noise. The answer is not “more”; in fact the answer lies in the solid, strategic foundation we have been building our demand generation on. Keep in mind that with all the blogs, articles, social media, people spamming your inbox, it can have the opposite effect; prospects just shut down. They decide to go with a company they can trust the most. If you have a strong funnel that filters only leads (not just inquiries but real leads) from marketing to sales, as well as a strong lead nurturing program, that is your solid foundation. Even though the landscape has changed, I STILL see companies running their lead generation like it’s the 90’s. And they complain it’s not working? Accept the change. And change before you have to. As a truly customer-centric organization, you have to give up rights to the steering wheel. Clearly, it is now the customer who decides when and where to communicate. Maybe your buyers want to take the scenic route, exploring sights and sounds along the way. Maybe they want the direct route and will cut to the chase fast. It’s our job as B2B demand generation experts to create and nurture demand for our products and services. There is only one way to do that—by empowering customers to take the driver’s seat. But you don’t stop at that. Remember, just like the Indy winner who has teammates, a pit crew, a coach, a sponsor, and fans, your customer also needs company; the right company along the way. Can you be your customer’s guide? Are you the map the customer is using? What about ensuring all the correct road signs are placed strategically? Maybe you are just the helpful person along the way when the customer stops to ask for directions. Perhaps you are the technician who uses the car jack and fixes a problem so the customer can continue on a smooth ride. The one person you don’t want to be is the guy yelling from the side of the road—causing a distraction and being a nuisance! So how do you change YOUR game? I was speaking with a high end corporate events planner recently. They have large, medium and small companies as their customers. I asked her why their clients liked them so much. The CEO told me their simple “secret”: they make the journey first. They walk in the customer’s shoes before taking the customer down that path. In doing so, they notice all the details and take care of them so by the time the event is live, everything is taken care of to the last and finest detail. Their customers are thrilled beyond their wildest imaginations! To become truly useful and helpful for your customers along their journey, you need to drive down that path yourself first. Sort of like the Undercover Boss show. You want to experience the joys and pains your customers do when they interact with your brand in any way; offline, online, over the phone, in-person, at a trade show, and in any other manner. When you take the same journey your customer does, you are able to discover and anticipate exactly what is happening at every step of the way. This opens up several opportunities for you to make enhancements in each stage of the brand experience. Your brand can be there even in the small details; not in loud and obtrusive, but subtle, yet significant ways. Social media enables us to do this better now than at any time in the history of the world. With consistent efforts to nurture, engage and guide, you have the chance to pull customers in when they are ready to buy. Remember that if you don’t, your competition certainly will. 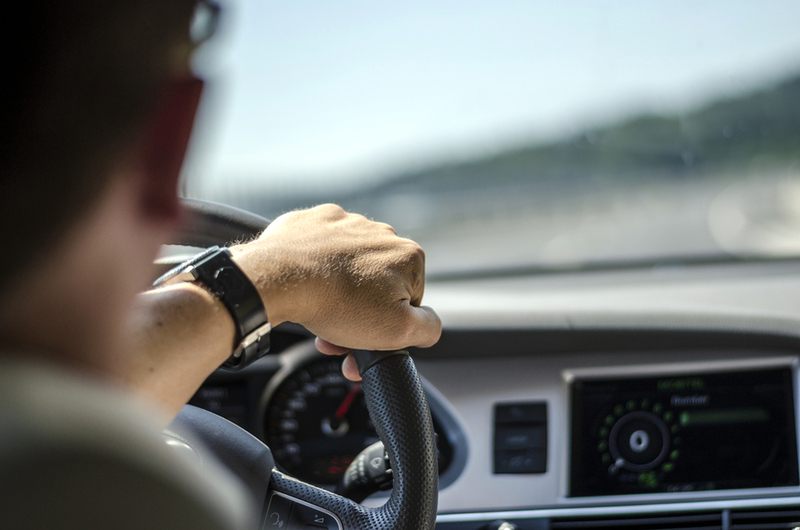 This article was syndicated from Business 2 Community: Is Your Customer in the Driving Seat?